So, apparently I am starting a blog again. But this post isn't about that. This post is about Citadel Finecast. 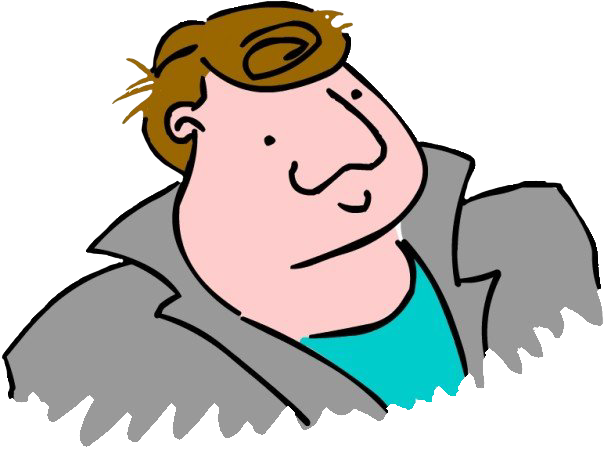 I'm sure I will post a "This is my new blog look at how bland it is" post later. So, Finecast. Its resin. Games Workshop have, in there wisdom decided to replace the popular metal ranges with resin editions. Why? Because its awesome because there hyper detailed and its equivalent to the moon landings only for hobbyists. Or thats the spin White Dwarf would like to put on things. The real reason? China has lots of money and is buying up lots of raw materials so it can build stuff. 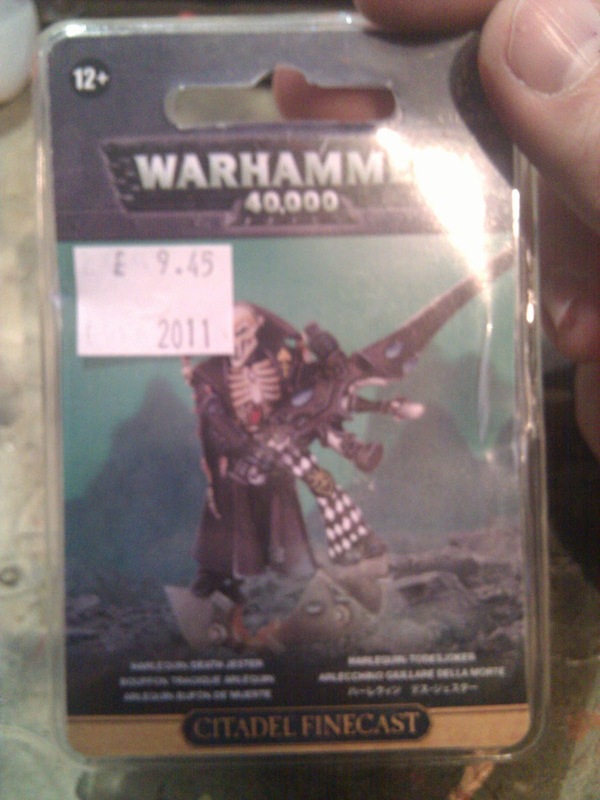 This drives up the price of Tin, Games Workshop swap to resin because its cheaper for them. Obviously, better then passing the saving onto us is a price rise justified by this being like the moon landing (they actually claim this in white dwarf). Only for toy soldiers. So, I got a lift down to my FLGS to do what any sensible person would do and buy up Metal Miniatures before they vanish. My Dark Eldar army eventually needs some Harlequins. Not the best choice ever, but I love the models and the fluff. He was out of Metal Death Jesters. 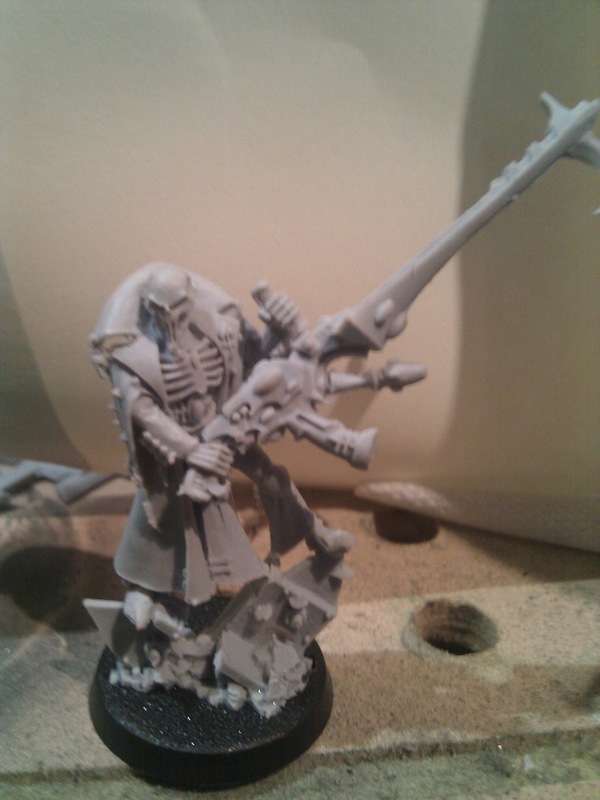 So I ended up with a finecast death jester. What follows are my adventures in finecast. So here we have the front of the new packet, with a nice painted model on. Internet flotsam has it that most of the miniatures painted by the 'Evey Metal team are, Ironically enough resin. It has to do with the fact that the Resin version can be cast up quickly, and they can get one painted so the boxes can be made up while the production molds are still being tooled. One thing I will say is these boxes are hard things to get into, they are heat sealed and require a knife or at the very least a good pair of scissors to get into. More thief proof, I imagine. The back of the pack is see through so you can see what your getting and at least make some attempt to judge quality. No Obvious miss-casts here. So lets crack it open. "I'ts Easy on the eye. 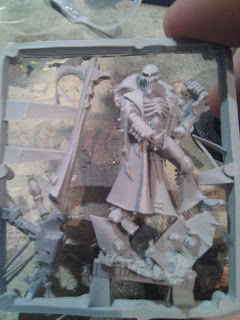 With resin the hobbyist can easily "read" the model. As it is a matt texture, there is no shine or glare to conceal the detail: it looks great even before you apply an undercoat." - Aly Morrison, GW sculptor. I think this is exactly the point. 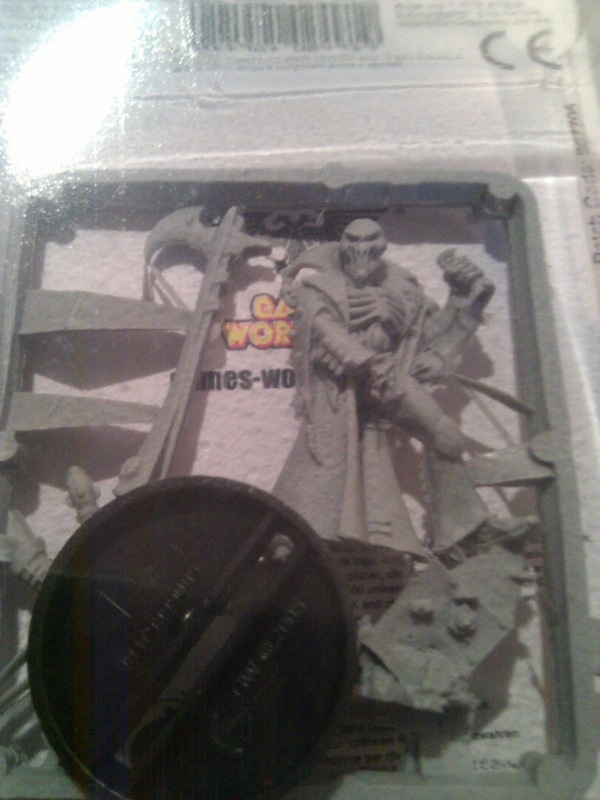 I plan to prime this guy black and stand him next to a friends primed metal Death Jester and take a few high res photos... watch this space. Clipping the miniature out of the sprue and cleaning the reasonable amount of flash was very easy. Citadel Finecast basically handles like slightly less brittle forgeworld resin. Cleaning it up is easy. Sometimes a little too easy. I can be a little ham-fisted at times so I had to be extra careful with the old hobby knife. It was only on gluing him to his base that I discovered my flaw. See the light shining through the scenic base there? Thats because that part of the resin is tissue thin. Now, its near the base and I could fix it with green stuff, though my green stuff skills are somewhat lacking. I might just add an extra rock or too if it becomes a problem. 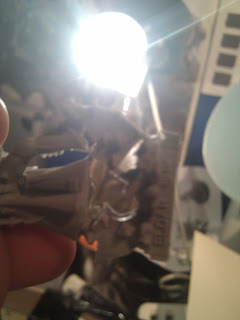 I feel kinda lucky, that Its a flaw down near the base of the miniature that can easily be corrected. But really GW should not be letting imperfections like these go out to stores. If you claim to be making the best toy soldiers in the world out of super secret moon-resin - and charging over £10 a pop - shouldn't they be flawless? I know some people say that cleaning up miniatures and using green stuff are a part of the hobby, and that you shouldn't moan about it, but since the whole premise of finecast is that it makes old miniatures -better- shouldn't they be... better? For now, a blob of super glue fills the offending hole, and I bet its undetectable after priming. But an imperfection is still an imperfection, so I guess the hunt continues for a truly perfect finecast casting. Still, I had no other issues putting the model together. 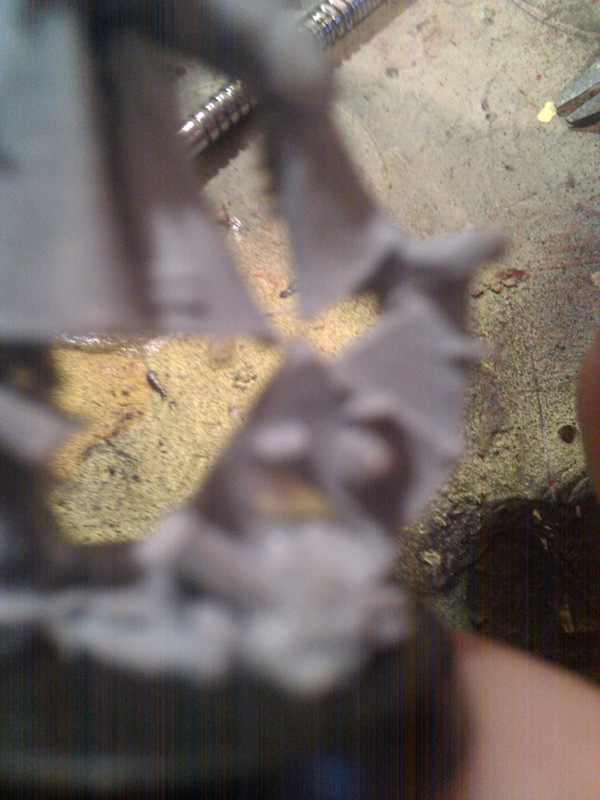 Super glue dries hard and fast, in exactly the same way it reacts to forge world resin. It is light, I would say probably lighter then plastic. And you can be fairly rough with them. Ive thrown mine on the floor repeatedly and nothing has gone wrong with it. I can really see how finecast will be a godsend for larger multi-part models prone to exploding. 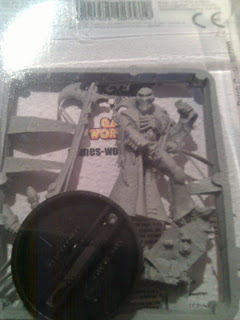 Assuming GW gets its QA in order regarding miscasts then, tentatively, tentatively I would say this is a good thing. I don't think I will be replacing any of my existing metals with finecast though. 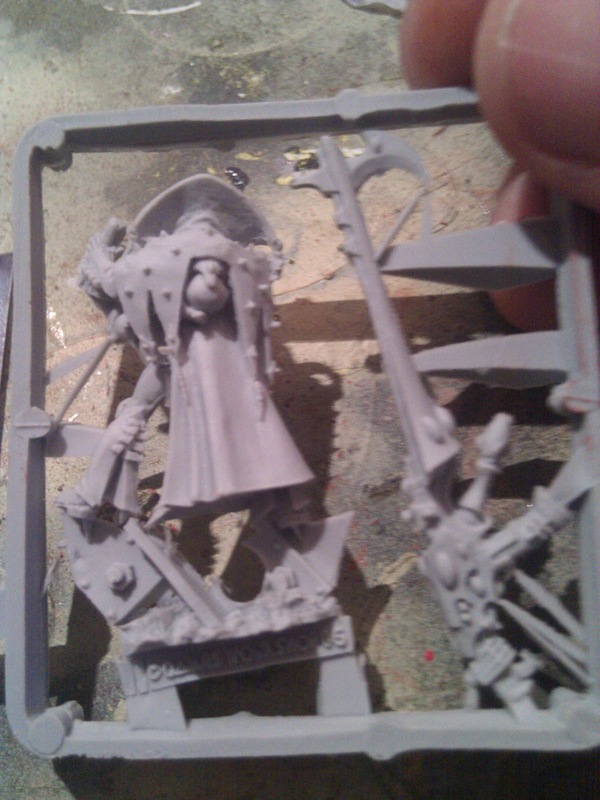 I may be tempted when it comes to things like the Keeper of secrets and Friends of Slaanesh in my daemon army. But overall, I would still buy metals for most things given a choice. If for no other reason then its cheaper. In conclusion. Finecast... its alright.